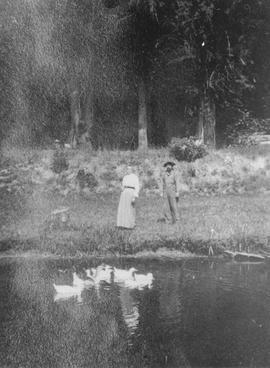 Mr and Mrs Wotruba in Upper Squamish, 1915. They arrived in Squamish in 1908. Their daughter Rose married J.B. Tatlow and after 1915, Bert McNeil.